No GMO. No Chemicals. No Pesticides. 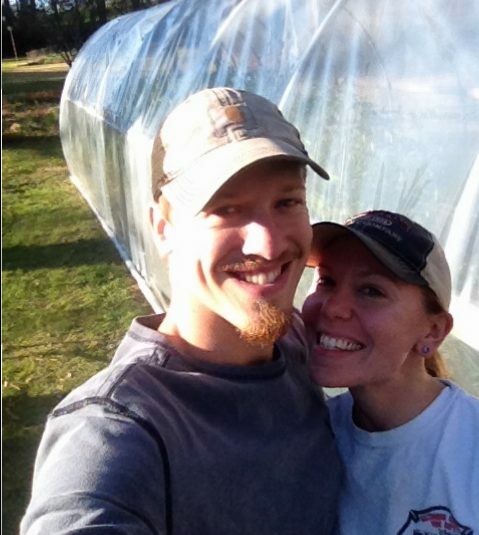 All of the produce from Clayton Farms is grown with love by Jack and Candi. 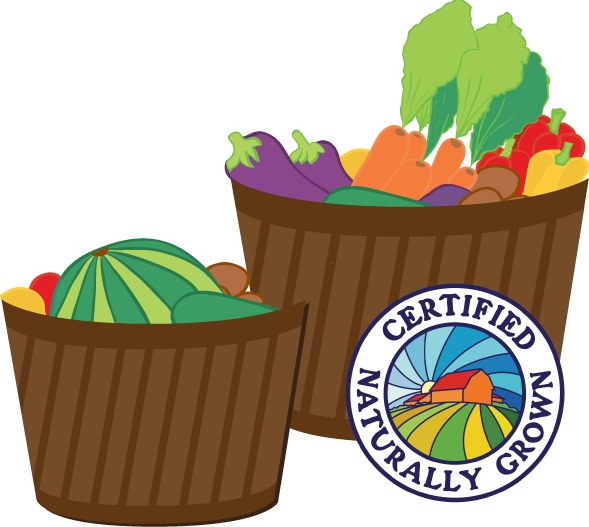 Read more about our farm! 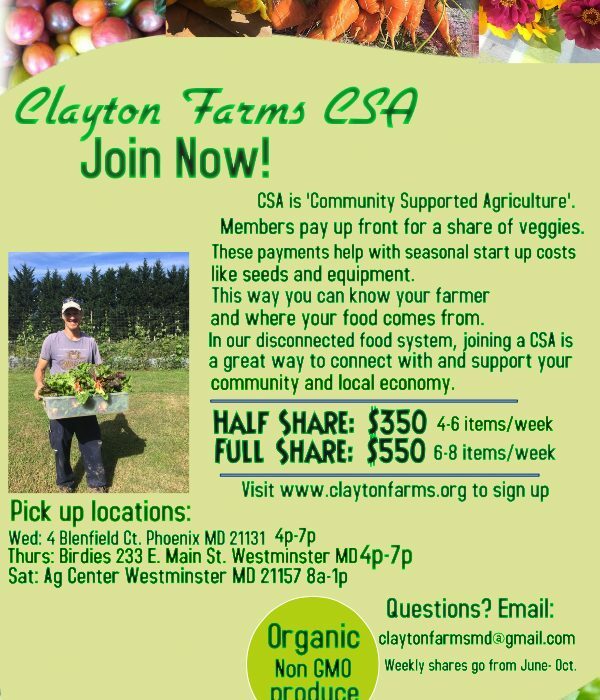 We offer the most amazing 22 week CSA. 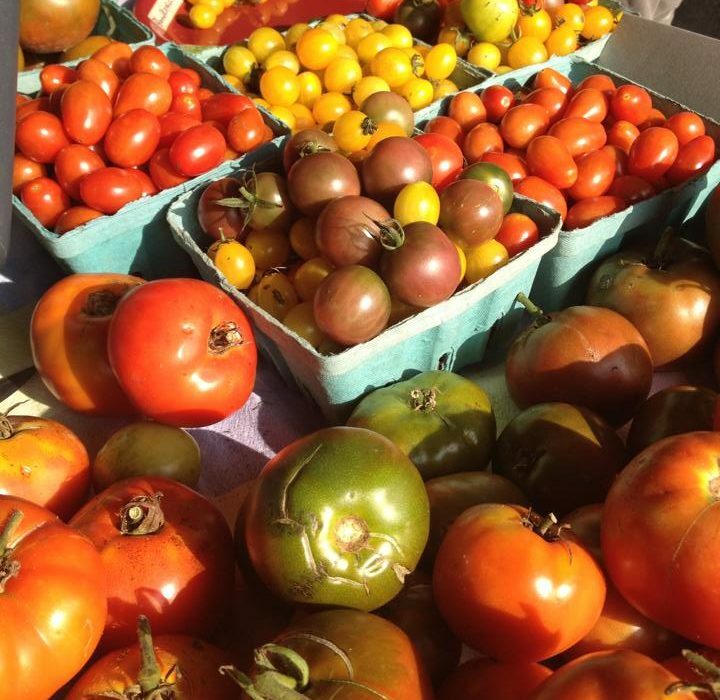 We sell produce at the Towson and Carroll County Farmers Markets. We can help you enjoy the freedom of farming at your home.